We’ve just found out that we are one of the finalists at the Educate North Awards in the Social Mobility award for the University sector. Here at NUSTEM, we have been working with primary (and secondary) schools in the North East for over four years. During that time we’ve had nearly 90,000 interactions with children and their key influencers – parents, carers and teachers. We started out working with 14 primary schools in 4 local authorities in 2014, and this year are working with 34 primary schools in six local authorities – that’s nearly 6% of ALL the primary schools in those local authorities. More importantly, we’ve worked in partnership with our primary schools so that we have seen the teachers and children numerous times. We’re in it for the long haul, and are working with these schools to improve the teaching of science, and to introduce STEM (science, technology, engineering and maths) careers into the curriculum. Improving social mobility is a key issue for many organisations, and one that we are tackling head-on. 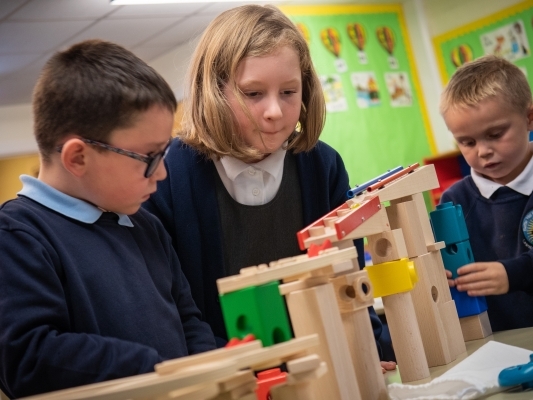 Working with our primary schools, we’re helping children (and their teachers and families) find out about the fabulous career opportunities available in the North East and beyond. We know that many of the children and families that we work with don’t want to move away from the North East – and we fully understand that. It’s a great place to live. However, many people don’t realise just how many STEM companies there are locally – e.g. in digital, in healthcare and in renewable energy sectors. So we’re working with schools to help children think about a wide range of possible futures for themselves. To make sure that we’re supporting social mobility, we’ve chosen partner schools that have a higher proportion of children claiming free schools meals than the regional average. We’re very proud of our primary partnerships at NUSTEM and are very excited that the judges at the Educate North Awards agree with us.